If you want to take care of your health in autumn, it’s important to know which products strengthen our immune system. After all… if we eat healthy, we become healthy 🙂 It’s easy! Leading a healthy lifestyle is worth the effort – getting enough sleep, having a rest, calming down and eating balanced meals rich in necessary macrocomponents, such as fats, carbohydrates and proteins. If we provide our body with these crucial nutrients, we can prevent many diseases and fight the autumn blues. 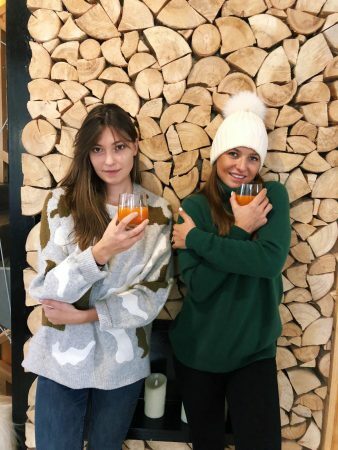 If you’re constantly tired and lack the will to act, you have a problem motivating yourself to do your everyday duties (not mentioning a workout), if you have problems falling asleep, have dark circles under your eyes, and on top of that you suffer from runny nose, headaches and have problems with your digestive system, this means your immune system is failing! I have prepared a few tips for you to give it a real boost. Let’s get to it! In order to strenghten your body, you must have a diet with the right dose of antioxidants. They protect us from free radicals, slow down the aging process and may prevent many diseases. Fruit and vegetables are the main source of antioxidants. Remember to have 4 portions of vegetables and 3 portions of fruit every day. Berries are especially rich in antioxidants, they are e.g. raspberries, bilberries and blueberries. In winter, when we lack fresh fruit, try to replace them with Lio Shake. Lio Shake is made from freeze-dried fruit and vegetables which contain approximately 10 times more vitamins and minerals than the fresh ones. There are no artificial flavors, colorants, sugar or additives. You can use them to prepare shakes or oatmeal. I mentioned the role of gut flora many times, e.g. HERE. You probably know that it is indispensable for the proper functioning of our immune system. Microbial imbalance, called dysbiosis, can lead to a higher susceptibility to infections and other ailments. It all happens because the biggest amount of immune cells is located in our digestive tract. If you suffer from low immunity, flatulence, excessive gas and stomach ache, you should definitely consider probiotic therapy. You will find more information on individual probiotic therapy on this website: Vitaimmun Medical Center. Thanks to its antibacterial, antiviral and immunomodulation properties, black elder can be successfully used in treating the flu or the common cold. Both fruits and elderberry flowers exhibit diaphoretic properties. In addition, elderberry blossom extract has moderate anti-inflammatory effects. In turn, the elderberry flower infusion can be used as a rinse at angina, in inflammation of the mouth and throat. The preparations obtained from elderberry also have an expectorant effect. More information on the properties of elderberry can be found HERE. Ginger has so many health properties that it’s impossible to list them all here. It cures lots of ailments, it has been used for centuries in eastern culture. Imbir ma tak wiele zdrowotnych właściwości, że nie sposób tutaj przytoczyć ich wszystkich wszystkie. Jest lekarstwem na wiele dolegliwości, od wieków był stosowany w kulturach wschodnich. It has analgesic, antipyretic and anti-inflammatory effect, that’s why it’s great for the common cold. 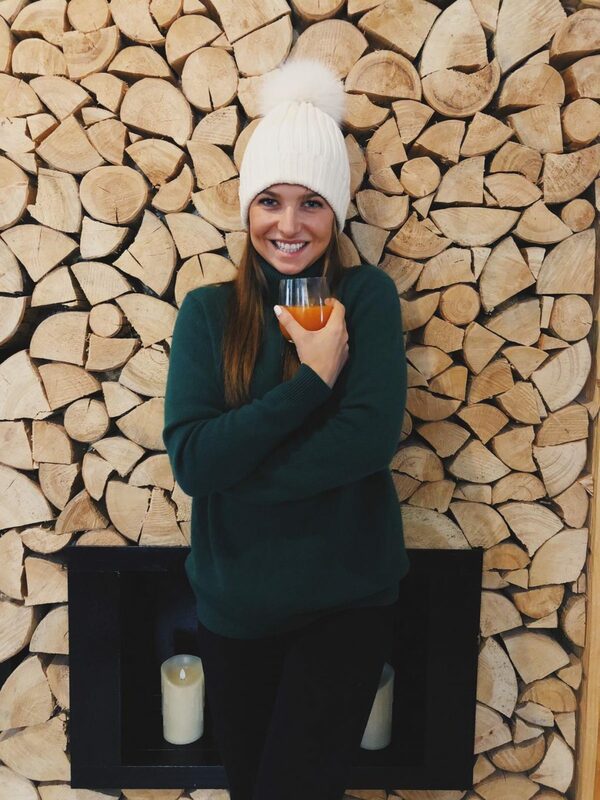 I recommend ginger infusion especially on cold days – a warming drink that should be consumed on an empty stomach and will protect you against this disease. Preparing the drink is really easy. You must slice the ginger, put it into the water, add the cloves and bring to the boil. Put sliced lemon and orange into another pot, then stir in the ginger with the infusion. Add the boiled water and mix in the honey. That’s it! You get warm just by looking and smelling! And the taste? Check it out and you’ll see it’s really worth trying because it’s the perfect tea for the upcoming chilly days. You can find more in that topic HERE. Pomegranate juice is called the power drink. Why? It’s all thanks to its special properties that improve our overall health. Pomegranate has a positive effect on cardiovascular system, prevents hypertension, fights sclerosis, helps in the treatment of digestive diseases, strengthens the immune system and has anti-inflammatory properties. Drink it regularly and you will notice significant improvement in your health just after a few days. 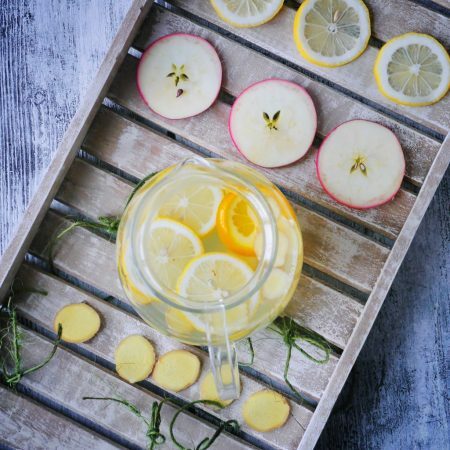 It mostly has anti-inflammatory and antioxidative properties – it neutralizes free radicals. 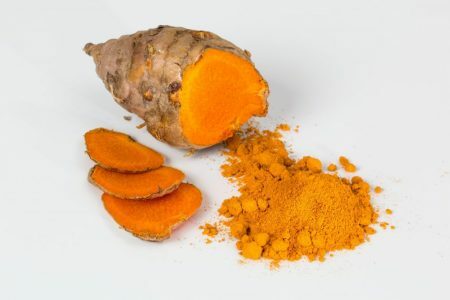 It has been proven that eating curcumin accelerates regeneration and reduces muscle pain in athletes. Research confirms that turmeric helps in the treatment of infection, reduces herpes and has antibacterial properties. It has strong antibacterial, antifungal and antiviral properties. It is recommended for asthmatics as it significantly reduces the severity of symptoms and the frequency of attacks. What is more, nigella (also called black seed) can be eaten in many various ways. Spice: ground nigella can replace black pepper. Whole or ground seeds can be added to bread, soups, salads, sandwiches or stewed vegetables. Infusion: prepared just like tea. Place one tablespoon of ground seeds in a cup, pour in boiling water and steep for about 15 minutes. Then, strain the tea. Oil: perfect to use externally on your skin, hair or internally (one teaspoon of oil 2-3 times a day). Remember to buy only cold pressed nigella oil and store in the fridge after opening. Herbal honey: mix one tablespoon of honey with one teaspoon of ground nigella and cream them. This mixture is very helpful in treating colds, has expectorant properties, relieves cough and sore throat. 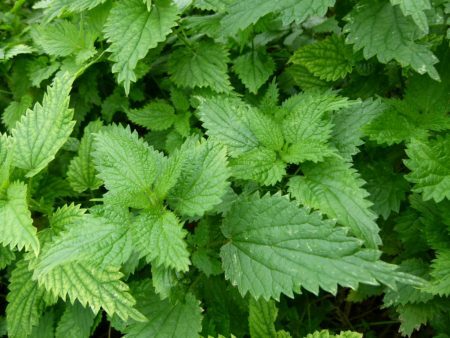 Common nettle, thanks to ingredients rich in biologically active compounds, is considered one of the most valuable plants used in phytotherapy. Its antioxidant, anti-inflammatory, antiaggregation, hypoglycemic and hypocholesterolemic properties have been proven. To strengthen the body, I recommend tea from nettle leaves. You need 2 tablespoons of finely chopped nettle leaves, pour a glass of boiling water over them, and strain after 10 minutes. The infusion should be consumed 2-3 times a day between meals. A mixture of volatile compounds in garlic, mainly sulfuric, has bactericidal properties, destroys numerous microorganisms, yeast, fungi and viruses. Before the era of antibiotics, garlic was widely used as a protection against infectious diseases. Garlic reduces spasms and inflammation, stimulates the secretion of mucus, facilitates expectoration, and also relieves the feeling of shortness of breath. The most effective in this respect are freshly grated or sliced pieces of cloves or freshly squeezed juice. More information about garlic properties can be found HERE. Astragalus (Astragalus membranaceus) is a herb that has been used for centuries in Chinese medicine. It has been used to treat many diseases, including: upper respiratory tract infections, coronary heart disease, hepatitis, and chronic diarrhoea. Astragalus and its blends are also used to support the treatment of cancer. Astragalus, like every adaptogen, affects many metabolic processes in our body, improves our well-being and reduces fatigue. Astragalus preparations are especially recommended for people with weak immunity. What is important, no side effects have been proven to be caused by the supplementation with astragalus extract. The product is available at the Foods by Ann store. Honey is a good source of flavonoids, polyphenols, alkaloids, glycosides and organic acids with strong antioxidant activity. Honey also contains numerous enzymes, trace amounts of vitamins as well as macro and micronutrients. 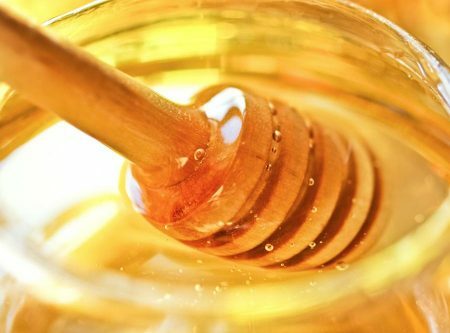 Honey ingredients have antioxidant, antimicrobial, anti-inflammatory and anti-proliferative effects. I recommend adding honey to tea and various shakes. Remember, however, not to mix it with hot liquid because then it loses its health properties. Chlorella is freshwater algae rich in many nutrients. It contains vitamins C, A, E and B vitamins. It is also a valuable source of iron and branched-chain amino acids BCAA. It owes its dark green color to the presence of chlorophyll. Chlorella accelerates the regeneration of damaged tissues. Including it in your diet has a positive effect on the regulation of blood sugar levels, improves liver function, boosts endurance during workouts, supports detoxification process of the body, helps reduce oxidative stress and strengthens the whole body. Chlorella can be added, for example, to shakes, salads or beverages. Due to its specific taste, it is best to combine it with products with an intense flavour. It should not be subject to thermal treatment, because heat adversely affects the health-promoting compounds it contains. You can find more information about chlorella HERE. Physical activity is essential for health and well-being. If you want to strengthen your body, I especially recommend outdoor activities, be it a walk before bedtime, or a light jog. Remember that for physical activity to be effective, you must do it on a regular basis. Hoyles L, Vulevic J. Diet, immunity and functional foods. Adv Exp Med Biol. 2008;635:79-92. Jakubczyk K, Janda K, Szkyrpan S, Gutkowska I, Wolska J. Pokrzywa zwyczajna (Urtica dioica L.) – charakterystyka botaniczna, biochemiczna i właściwości prozdrowotne. Pom J Life Sci. 2015; 61(2):191–198. Jandhyala SM, Talukdar R, Subramanyam C, Vuyyuru H, Sasikala M, Nageshwar Reddy D. Role of the normal gut microbiota. World J Gastroenterol.2015;21(29):8787–8803. Mandal MD, Mandal S. Honey: its medicinal property and antibacterial activity. Asian Pacific Journal of Tropical Biomedicine.2011;1(2):154-160. Mańskowska D, Bylka W. Nigella sativa L. – związki czynne, aktywność biologiczna. Herba Polonica. 2009;55:109-125. Qi Y, Gao F, Hou L, Wan C. Anti-Inflammatory and Immunostimulatory Activities of Astragalosides. The American Journal of Chinese Medicine 2017;45:1157-1167. Ulbricht C, Basch E, Cheung L, Goldberg H, Hammerness P, Isaac R, Khalsa KP, Romm A, Rychlik I, Varghese M, Weissner W, Windsor RC, Wortley J. 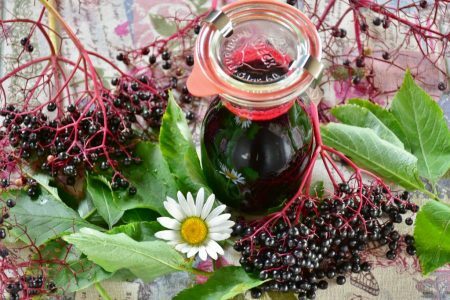 An evidence-based systematic review of elderberry and elderflower (Sambucus nigra) by the Natural Standard Research Collaboration. J Diet Suppl. 2014;11:80-120. What kind of eggs should we choose? Autumn, it’s colder, but hopefully we still can sometimes enjoy warm days. It’s the last chance to eat ice cream! Eating in between meals is common. We're all busy and constantly lack time and we use it as an excuse. An excuse to eat anything that is available and will make us feel better or less exhausted.